It aims to achieve this mission through pursuing three aims. Establishing and maintaining a global network of associations for professionals sharing an interest in public art, its creation and its consequences. To advocate public art, and excellence in public art, through competitions, publications, websites, the media and any other means, to bring it to the favourable attention of decision makers around the world. The Institute for Public Art was incorporated in Hong Kong as a Charitable company limited by guarantee in February 2013 with funds provided by the University of Shanghai. The founding members of the Charity are Lewis Biggs, Jack Becker and JiangBo Jin. 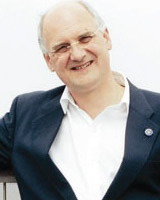 Lewis Biggs was Exhibitions Coordinator at Arnolfini, Bristol, 1979-1984, and Exhibitions Officer with the British Council Visual Arts Department until 1987. He was British Commissioner for the Sao Paulo Bienal in 1986. In 1987 he joined Tate, and was Director of Tate Liverpool from 1990 to 2000. In 1998 he became a founding Trustee, with James Moores and Jane Rankin Reid, of Liverpool Biennial, and has been Chief Executive of the Biennial from 2000 to 2011. 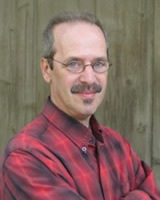 Jack Becker is founder and executive director of Forecast Public Art, which was established in 1978. He is also the publisher of Public Art Review. Forecast Public Art is a nonprofit arts organization based in St. Paul, Minnesota. As a public artist and program administrator, he specializes in projects that connect the ideas and energies of artists with the needs and the opportunities of communities to create meaningful public art. Jack has organized more than 70 exhibitions, 50 publications, and numerous special events. 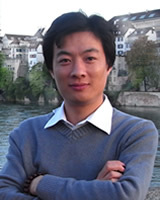 Jiangbo Jin graduated and gained PhD in Art from Academy of Fine Arts, Tsinghua University. He is Secretary-General of the first International Award for Public Art Presentation Ceremony and Public Art Forum, director of Shanghai Designer Association，director of Shanghai Young Creative Talent Association and director of Multimedia Design Committee. In 2011 he was invited to be curator of the 1st Beijing International Design Triennial. In 2013 he became the member of Shanghai Art Design committee. Currently he is dean assistant of Fine Art College of Shanghai University. As an artist, Jiangbo Jin actively joined China and international exhibition such as Shanghai Biennale in 2002, Venice International Exhibition in 2003, Nanjing Triennial in 2009 and Guangzhou Triennial in 2012. His works has been collected by important art gallery and art institution around the world. In 2008, Jiangbo Jin won the titles of Outstanding Artist and Gold Medal in the 4th Lianzhou International Photo Festival. In 2009 he won the Annual Top Ten Artists in AAC (Photography Category). In 2011 he won the Shanghai Top Ten Youth Top-level Creative Talents. © 2012－2013 Copyright are reserved by IPA.